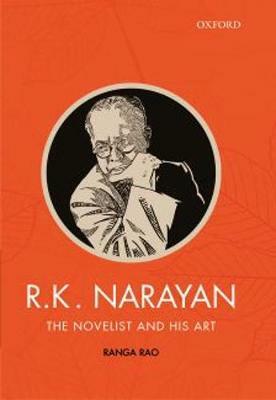 R.K. Narayan occupies centre stage among Indian English writers of the twentieth century, with fifteen novels and novellas and more than half a dozen collections of short stories to his credit. He was the first Indian writer in English to win the Sahitya Akademi Award (1958). This work is a definitive study of the man and the writer. Ranga Rao presents an intimate picture of Narayan, based on his personal experiences with the Narayan himself and his friends and relatives. Rao does detailed critical analyses of all of Narayan's novels and novellas, reading them through the lens of the Indian philosophical concept of the three 'gunas' (quality or virtue): 'sattvic' (harmonious), 'rajasic' (passionate), and 'tamasic' (chaotic). Ranga Rao post-scripts his critique with wide-ranging endnotes, offering plenty of facts and filiations, drawn from critics as well as friends and interviewers of Narayan, and from the novelist's own non-fictional works.